Cultural Front: Could some black poets benefit from Illuminati accusations? Could some black poets benefit from Illuminati accusations? "Notice and analyze the signs they make," the students tell me. You should hear the lively exchanges some of my students and I have been having about rap music and the [insert ominous music] Illuminati over the last few years. 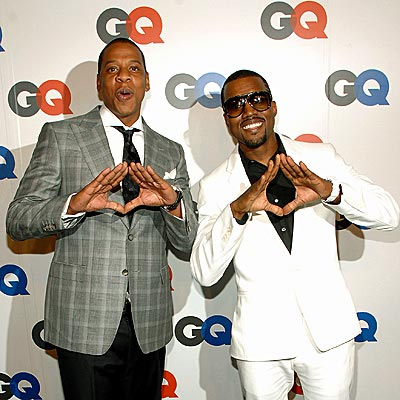 Groups of them have been trying really hard to convince me that Jay-Z, Kanye West, Rihanna, and a few other high-profile entertainers are part of a secret order of devil-worshipers whose ultimate goal is to manipulate the masses. The people who witness me going back and forth with the, ummm, conspiracy theorists have a really good time listening to our exchanges. About 5 years ago when the Illuminati chargers debates first began, the main folks I talked to were these young black men who had previously taken my literature courses. “Rambsy. Rambsy. You just gotta listen really closely to the lyrics and analyze'em, and you’ll see what we saying,” they’d explain to me as we talked in the student union. They wanted me to understand that careful deciphering of lyrics would make me aware that the various artists were spreading Illuminati messages in their music. They students would then offer expositions of specific lines. Our debates always drew crowds. This semester, my most skilled opponent on the subject is a student—a young white woman—in one of my African American literature courses. For most of the semester, she was quiet during class discussions, but once we got to Jay-Z’s Decoded, she, along with several of the black students, spoke up about the rapper being a part of the Illuminati. That one student quickly established herself as the lead authority on the subject, impressing everyone with her thorough knowledge of all “the signs” that serve as evidence of Jay-Z's Illuminati status. Finally, and obviously, the literature teacher in me is supremely jealous that all the rappers get such in-depth attention, not to mention their albums get closely dissected and even played backwards, when and if they are suspected of being part of the Illuminati. In order to get folks more engaged with poetry, I might have to go ahead and spread some rumors. I’m not one to gossip, I’ll say, but the word on the street is that Lucille Clifton, Elizabeth Alexander, Amiri Baraka, Tyehimba Jess, Allison Joseph, and Kevin Young might be part of the Illuminati. We’ll probably have to read their works over and over again and provide extensive analysis to figure out if that’s true or not. Just saying.